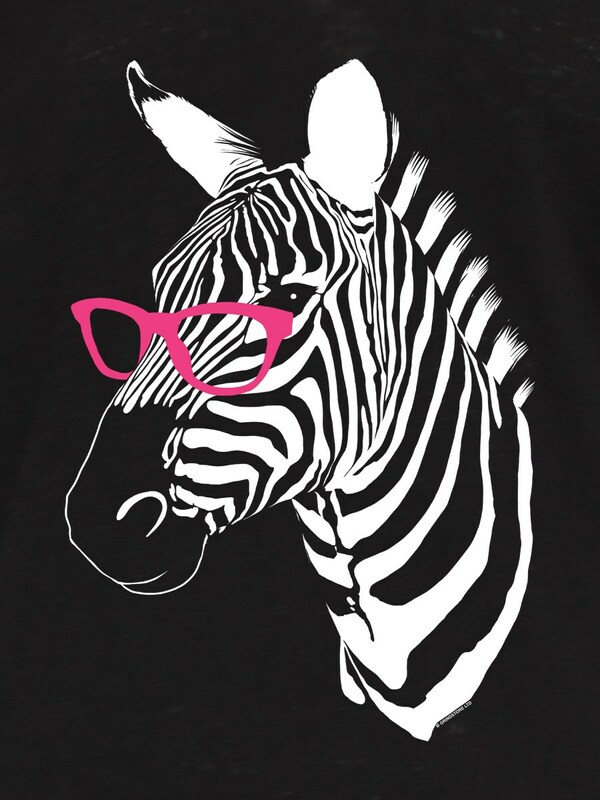 How intelligent is this zebra, you ask? 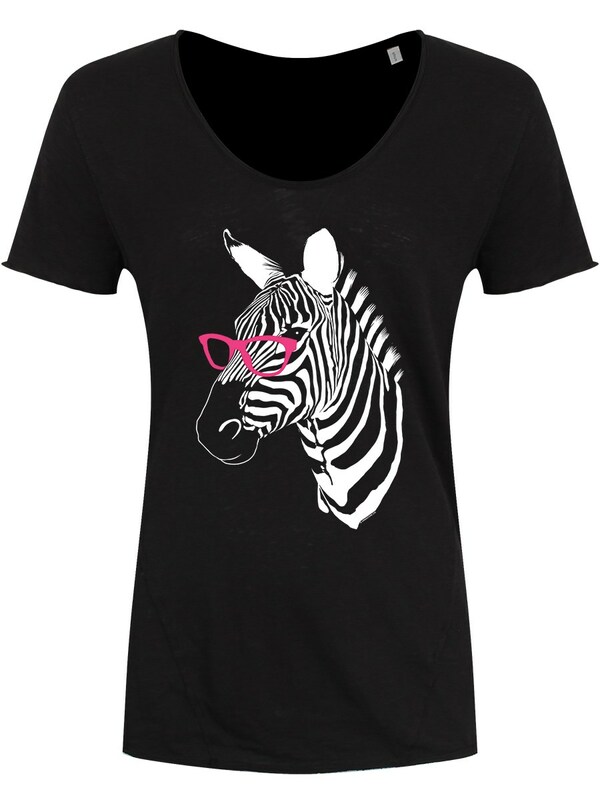 Intelligent enough to know that pink glasses really suit her, and intelligent enough to know that you need this awesome graphic t-shirt! 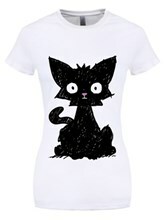 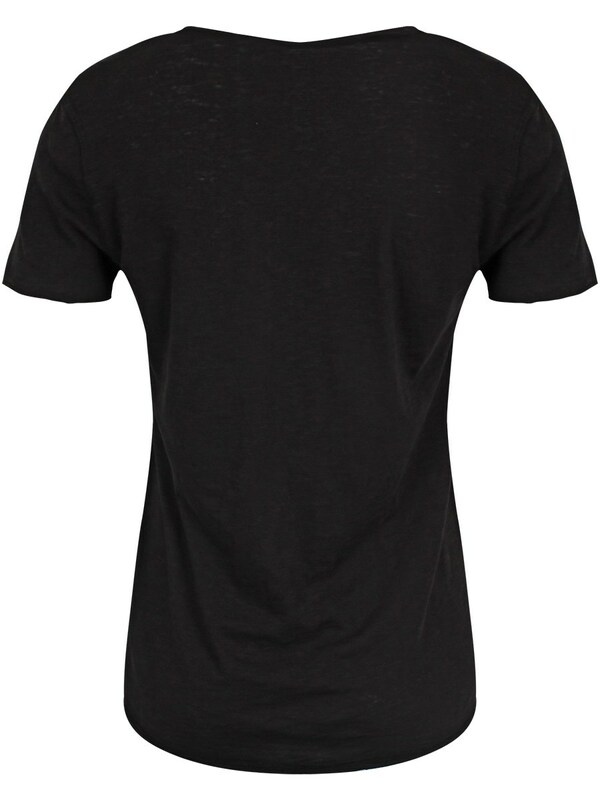 With it's bold contrasting monochromatic colours, this v-neck tee is the statement top you've been looking for!